Thinking of Relocating to Vancouver WA? 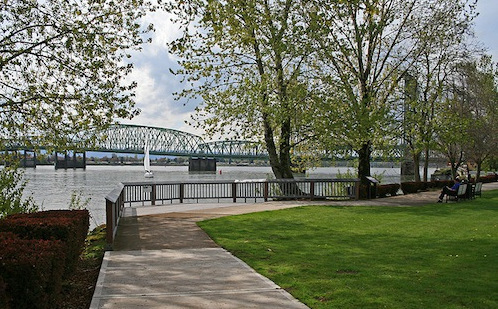 Vancouver WA is the gateway to the Columbia River Gorge, with a population of just over 160,000 in Vancouver and 435,000 in Clark county. Vancouver is a great place to live on it's own merits, but one of the most appealing reasons to live here is the lack of State income tax in Washington, and it's proximity to Portland Oregon. The Southwest Washington area has become a popular place for people to relocate, especially as they get closer to retirement. There are so many reasons to move to the Portland Vancouver area, this is one of the most scenic areas in the US. It's only about 90 minutes travel time to either the Washington or Oregon coast, and the same distance to Mount Hood or Mount Bachelor ski areas. Many areas in Vancouver are literally closer to the Portland city center and the Portland airport than other areas in Portland. From the west side of Vancouver it takes about 15-20 minutes to get to either downtown Portland or the PDX airport. In rush hour traffic it will take longer, but if you don't have to travel during the commute hours it's a breeze. Home prices and property taxes in the Vancouver and Southwest washington area are substantially lower for similar properties in the Portland Metro area. The average Home sales price in Vancouver is $255,000, in the Portland Metro area it is $317,000.